My fascination with Ernest Shackleton and the Heroic Age of Arctic Exploration began in an IMAX theater. A group of friends and I stumbled upon one of the few IMAX theaters at the time in the Mall of America. We all wanted to experience the famed 90 foot screen, but simply needed to pick a movie. One selection that stood out was a documentary on Shackleton’s famous Endurance Expedition, where he and team of 20 others attempted to not just reach the South Pole (already achieved at that time) but rather to cross the entire continent on foot. Practically speaking, the expedition was a disaster. Their ship was crushed in the ice and the men were left to find their way back to safety. The amazing part of the story (there are many) is that every man made it through the nearly 2 year ordeal alive and under incredible circumstances. However, this is not the only Antarctic adventure Shackleton is known for. While the Endurance expedition is one of the greatest survival stories of all time, his previous Nimrod expedition, while harrowing, produced the greatest whisky story of all time. Shackleton attempted 7 years before Endurance to be the first to reach the South Pole on what is known as the Nimrod Expedition. While Shackleton and his crew nearly reached their coveted destination (within 90 miles) they had no choice but to turn back in order to survive. 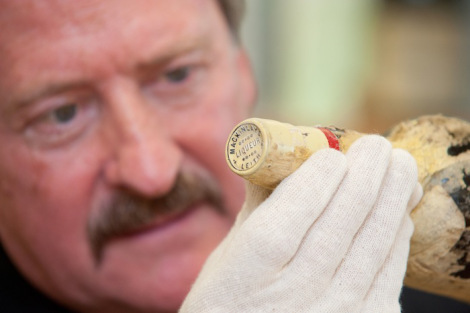 As the expedition members sailed back to England and into history, they left behind a few curious cases of “Mackinlay’s Rare Old Highland Malt” in their abandoned hurry. The cases laid buried in ice under the expedition’s hut, undisturbed and forgotten for 100 years. Nose- Complex with a variety of aromas. Malty cereal notes with a dash of honey. Fruity with accents of green apples/pears, citrus (tangerines and lemon cream). Hints of dark fruits with raisins and figs. Whiff of smoke. Floral notes more pronounced with time. Delicate but flavorful. Vanilla as it develops. Taste- Consistent with nose – apples/pears with honey. Overall, sweet with some nice oak sugars. Light mouth feel. Fresh, clean. Finish- Medium to long. A pleasant dryness develops with cereal notes and a touch of lavender. Peat smoke with leather and hints of tobacco. Nice floral touches. Comment- A remarkable whisky with a pleasant complexity. Each category has a great personality. Good balance of light character with up front flavors that engage. 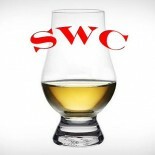 A nice glimpse into whisky past. Agree? Disagree? Let us know in the comments section. A bottle of this has been staring me down every time I walk into my local store. I might have to pick it up soon. There was debate amongst the group on whether or not it was worth it given the price. 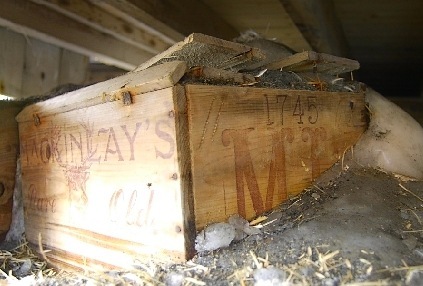 The whisky itself is quite nice, but would we pay for it if Mackinlays wasn’t on the bottle? Most of us said yes. We also watched the Nat Geo documentary on the finding and subsequent replication. That sure helped.